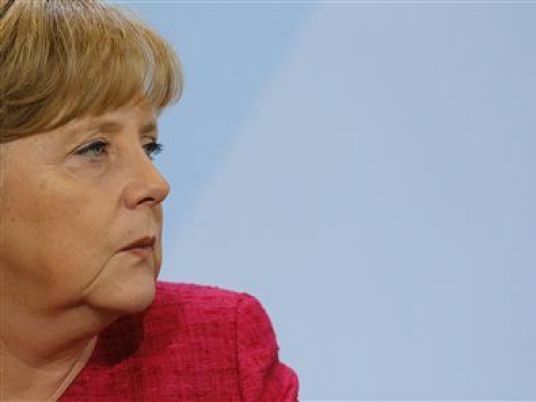 German Chancellor Angela Merkel discussed bilateral relations with Turkish President Tayyip Erdogan before the start of the G20 summit in China, their first meeting since the failed July 15 coup, a German government spokesman said. Already strained ties worsened after the coup attempt, when Ankara complained that Berlin had not been swift and decisive enough in condemning it. "[Merkel and Erdogan] discussed German-Turkish relations, further implementation of the EU-Turkey [migrant] agreement and their mutual concerns about the ongoing Syrian civil war," the spokesman said. "The discussion was constructive." The spokesman did not say whether the two leaders also spoke about Turkey's refusal to allow German lawmakers to visit German troops at Incirlik Air Base. Turkey has banned the visits to the base near the Syrian border since Germany's parliament passed a resolution in June declaring the 1915 massacre of Armenians by Ottoman forces a genocide, but a German lawmaker on Saturday said he expected the issue to be resolved this week. Turkey accepts many Christian Armenians were killed but contests assertions that up to 1.5 million died, and denies the killings were orchestrated. German Foreign Minister Frank-Walter Steinmeier on Saturday told reporters in Bratislava that Turkey and the EU appeared to be "entering a new phase of talking with each other instead of talking past each other." Steinmeier had on Friday sought to defuse the dispute over lawmaker visits to the air base by saying the genocide resolution was not legally binding. Steinmeier also acknowledged that German statements after the failed putsch had perhaps lacked the expected empathy, though he also cautioned Turkey against seeing every critique from Europe as an attack or sign of ignorance.